Apple is introducing a ton of new products and today updated its website with a short preview of the next major Mac OS X update. The project is called “Lion” and thanks to different sources a few other details were also leaked. 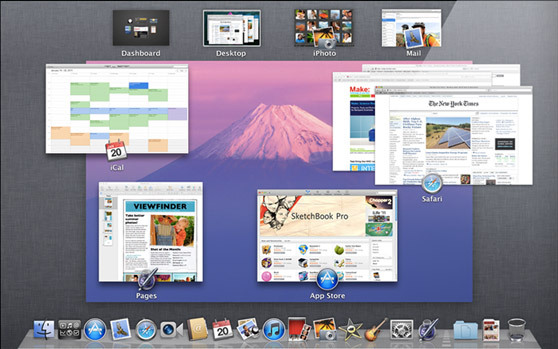 The new Mac OS X Lion include a full blown App store with a Launchpad, a Springboard-like app launcher for Mac OS X. New features include improved support for multi-touch gestures using trackpad. This will let users swipe, pinch, zoom and also scrolling. Apple will also introduce auto save and auto resume features in its apps running on the Lion OS X. There is also document file control where they can be auto locked to prevent any changes. This also includes automatic file versioning, including auto saving a document every few hours.